As we’ve settled back into the swing of things post-Philippines, I’ve been incorporating more nourishment into my body and for the second consecutive week, my weight went up. I know that Flo was really proud of me, but me? Not so much. On Monday, upon hearing that I had gained, a part of me knew I should be happy but mostly, I felt like a loser. I felt as though I was allowing my weight to spiral out of control, and in doing so, that I was losing control. Fact is, I’m the one gaining control. It wasn’t an easy day and at one point, I said to myself “F*ck this! F*ck ED!” Flo was right earlier that morning when he’d told me that I should be the last one to worry about my weight. I don’t need to know my weight, how much I’m gaining a week. I just need to remember that I’m gaining back my health and my life, and as long as I am headed in the right direction, then I’m not playing the numbers game with ED. Neither am I going to indulge in the measurement game. See, spiralling back down has caused me to pick up on old, bad habits again. Habits like measuring my upper arms with clasping my hands around them; habits like feeling my back pelvic bones and feeling reassured whenever I see that they’re still there; habits like looking at my reflection and seeing my backbone protrude out. I’ll be the first to admit that it is far from pretty, and there are moments when I see photos of myself that frighten me with that haunting look behind my eyes. And still, I allow ED to whisper to me that these habits only serve to validate my existence. Bullsh*t! This week, I can feel myself making some progress psychologically and I am sure that the basic fact that I am nourishing my body is enabling me to think more logically. 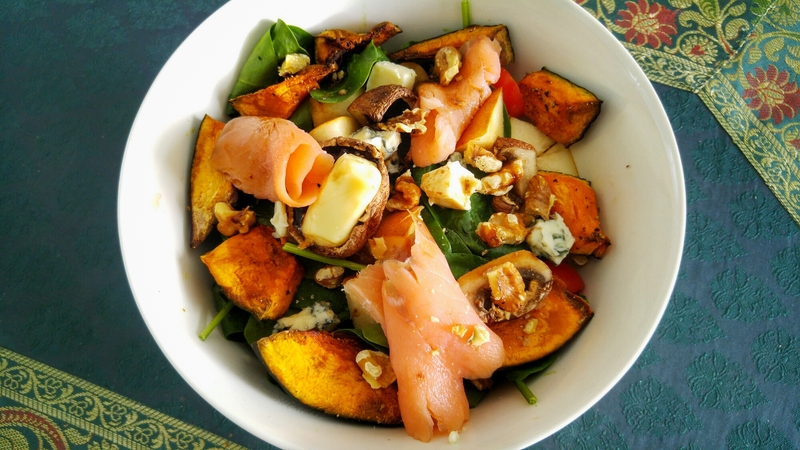 It’s not easy for sure, and there have been many times where I find myself sub-consciously trying to count calories, or work out which dish is ‘safer’ to consume, but at the same time, I have pushed myself to eat more carbohydrates which is helping me to keep bingeing at bay. Am I there yet? Not at all. I know that I still have much more progress to make in terms of eating more freely and not worrying about calories. But I am also well aware that small steps add up into big steps and one day, I will be a lot further away from all this destruction, so far away that perhaps it will disappear from my vision entirely. Just last Sunday, Flo and I went for brunch at Sacha & Sons at Mandarin Gallery. I’d been wanting to take him for a while knowing that he enjoys a good pastrami sandwich and Singapore being as small as it is, isn’t particularly known for its New York Delis. Of course, this one is on the higher end and as of now, based on my knowledge, might be the only NY Jewish deli in Singapore. 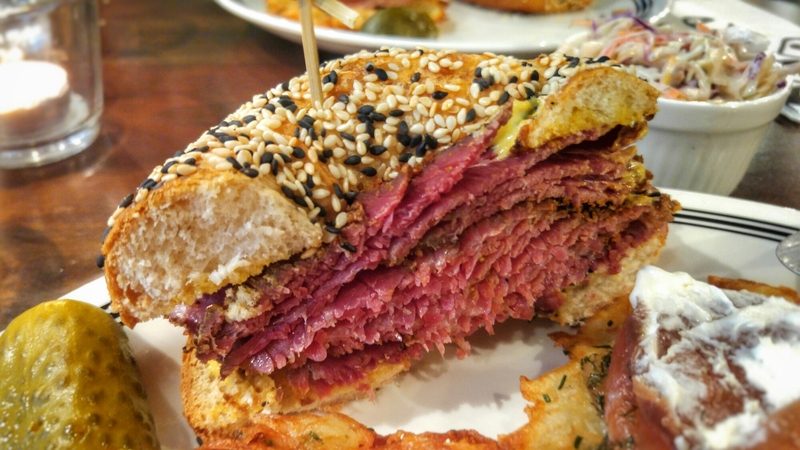 They’re known for their freshly-baked Sesame Bagels and in-house cured Pastrami that is hand-carved to order. We ordered the Classic to share, which is basically Pastrami with Mustard, and opted for the Sesame Bagel no less. They also have Rye Bread and Gluten-Free Bread as alternatives. We also went for the regular portion of pastrami which was 150g and mooooore than enough for the both of us. I had to give some of mine to Flo simply because it was too much! The bagel was nice and chewy, dense as bagels ought to be but also quite filling with the salty, smokey, pepper-crusted beef. Served alongside were gherkins and coleslaw. 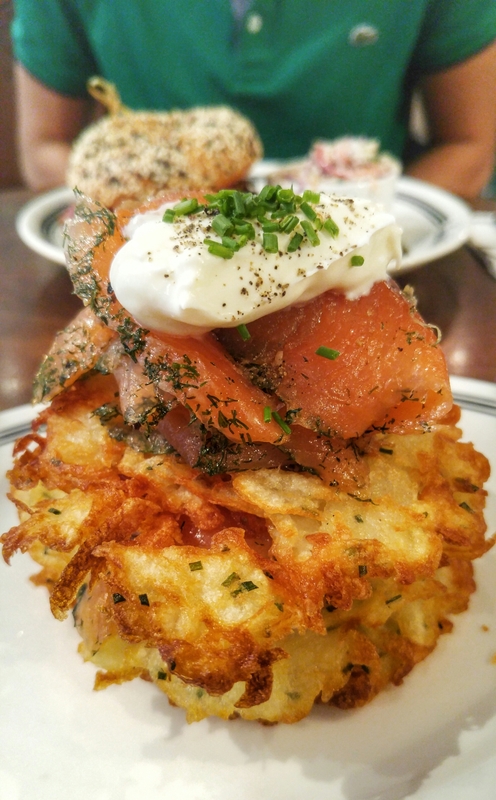 At my recommendation, we ordered a serving of Gravlax with Creme Fraiche on Onion and Potato Latkes as well. I remember the latkes from my first time dining here and they were not overly fried and not too oily either. The gravlax I prefer because it’s not as salty compared to smoked salmon. Once again, this dish came in a stack of 3 and we had to leave one behind because there was no more stomach space for any more fish to swim in! 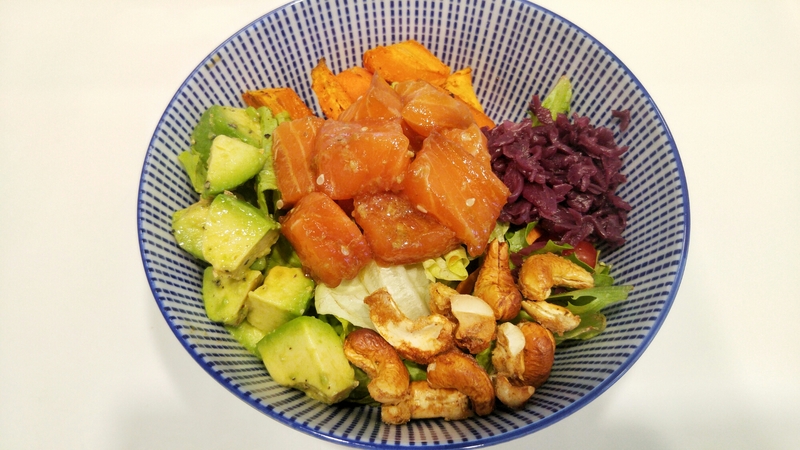 After all my chatter, I realise I titled this post #whatifeedmybf. So yes, I’ve been whipping up some dinners for Flo and I the last couple weeks and I’d like to think that there have been more hits than misses. Usually, I do simple stuff that keep cooking to a minimum, or where I don’t make too much of a mess in the kitchen. 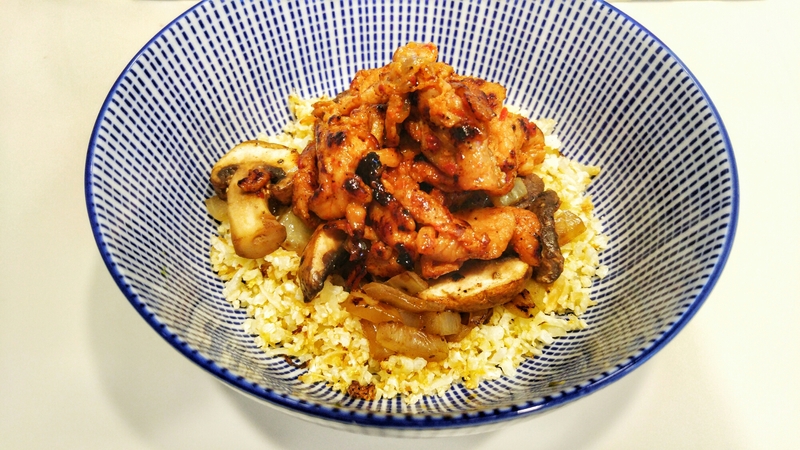 The other day, I made a Cauliflower Rice bowl topped with Sautéed Onions and Mushrooms, and Spicy Pork Bulgogi. That was yum! 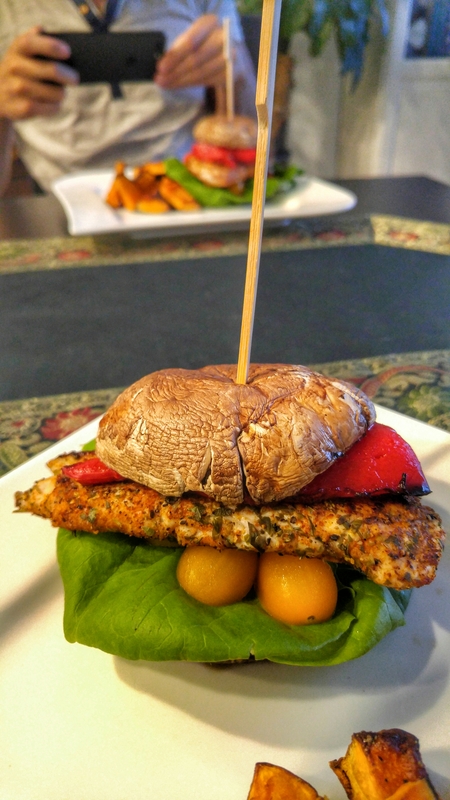 More recently, I made a Portobello ‘Burger’ with Lettuce, Tomatoes, Roasted Red Peppers with Blue Cheese and Grilled Chicken. Served with a side of Kabocha ‘Chips’. 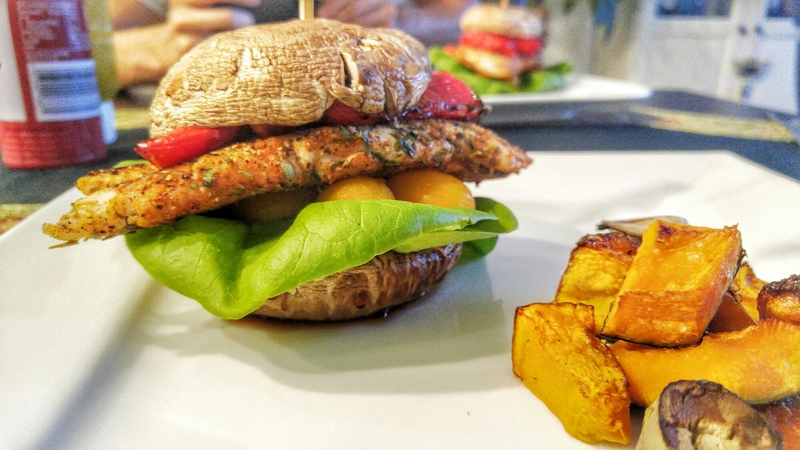 I’m quite proud of how this turned out so I decided to share this recipe with anyone who wants a healthier burger alternative for themselves, or to feed their boyfriends. Or girlfriends. Or husbands. Or wives. Or children… You get the idea. Butterfly chicken breast into half to make 2 portions. Mix herbs and spices together and rub dry onto the chicken breasts. Allow to marinade for 20-40min in fridge. Quarter the red pepper and remove its seeds and white membrane. Remove stems and gills of the mushrooms, drizzle with balsamic vinegar and season with sea salt and pepper. Roast peppers skin-side-up in a 180deg oven on a tray lined with parchment, for 40min until the skin is charred. Add mushrooms onto the baking tray for the last 8-10 minutes of roasting. Remove from over and let cool 5min before peeling the skins off the red peppers. Heat some olive oil in a non stick pan. Cook chicken thoroughly – this takes about 8min depending on the thickness of the meat. Previous articleI Travel.To Las Cabanas, El Nido, Palawan! Next articleI Travel.Duli - Life's a Beach.